Why waste your pennies going road racing when you could try your hands at these ten bizarre sports? Just watching this video gives me anxiety. How on EARTh does someone think this up, let alone decide it’s a great idea? 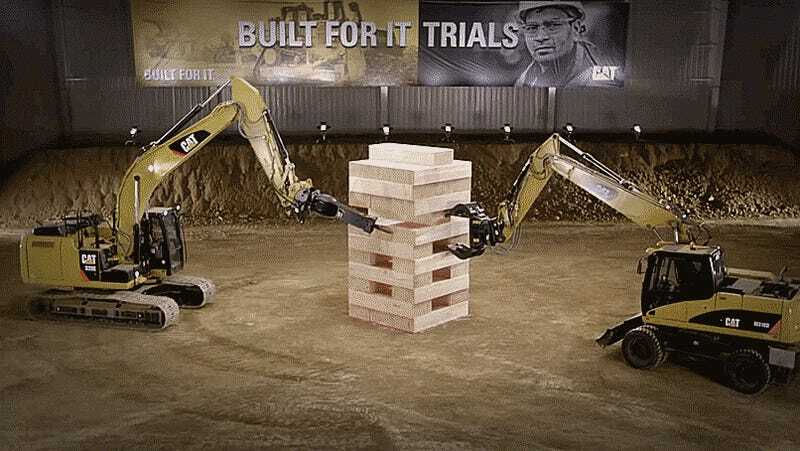 “Let’s go take some heavy-duty machinery and play Jenga!” Uh, okay! Insane? Yes. Awe-inspiring? Also yes. Like RallyCross but with heavy-duty farm equipment and a bit of a slower pace. I guess it can’t hurt for farmers to have an extra pastime. How do they engineer these crazy swamp-machines to launch so well? I just hope they’re watching out for gators! A little bit of gladiator history combined with some straight-up two wheel (three wheel?) insanity. Who dreams this stuff up? Just keep up your speed and you’ll be fine. Or don’t and maybe you’ll end up like the guy in the end of the video. Like LeMons, but with tiny, highly modified electric cars, a Le Mans style running start and run on an enclosed parking lot course. Who needs “cars” anyways, right? Is anyone else surprised that a complete clown suit isn’t required to compete as a Unicycle Drag Racer? Unicycle Drag Racing. For. The. Win. Just grab a pig and sprint to the Model T. Hmm, let me have reader 31ModelA explain this one. Drivers use stripped Model T Fords with stock mechanicals. Five cars are lined up with the engines off at the start line. Drivers stand next to the grandstands. When the starter pistol fires, the drivers run to the opposite side of the front straight, grab a live 20-pound pig from a bin, then must hand-crank their car and drive it one lap. They then stop, kill the engine, get a different pig, and race another lap. The first driver to complete three laps in this manner without losing their pig is the winner. If we can get some helmets and other normal safety protocol thrown into this, is there any chance this could be a sanctioned SCCA point-event? Just remember, don’t drink and, uh barstool! Is there a better way to destroy what was once some very expensive farm equipment? No. There is no better way.